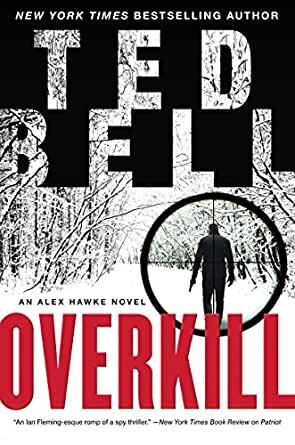 Overkill: An Alex Hawke Novel (Alex Hawke Novels Book 10) - Kindle edition by Ted Bell. Literature & Fiction Kindle eBooks @ Amazon.com. Hawke has led his share of dangerous assignments, but none with stakes this high. To save his son, he summons his trusted colleagues, Chief Inspector of Scotland Yard Ambrose Congreve, former U.S. Navy SEAL Stokley Jones, Jr., and recruits a crack Hostage Rescue Team—a group of elite soldiers of fortune known as "Thunder & Lighting." Before they can devise a rescue plan, Hawke must figure out who took his boy—and why. An operative who has fought antagonists around the globe, Hawke has made many enemies; one in particular may hold the key to finding Alexei before it’s too late. But an unexpected threat complicates their mission. Making his way to "Falcon’s Lair," the former Nazi complex created for Hitler, Putin is amassing an impressive armory that he intends to use for his triumphant return to Moscow. It is a frosty Christmas Day. A Swiss skiing vacation for gentle-man spy Hawke and his son Alexei turns deadly when a malfunctioning support cable upends their aerial tram, leaving it hanging by a thread at twelve thousand feet. During a chaotic helicopter rescue, the boy mysteriously goes missing . . . meanwhile, in Moscow, Vladimir Putin’s world is sinking in a hellish quagmire of political infighting and assassination attempts on his life. Desperate to escape, Putin secures the presidential jet for a midnight run out of Russia. But things quickly go awry. A “malfunction” in the aircraft’s oxygen system forces Putin to bail out into the night skies over France . . .
Hawke has had his share of high stakes assignments—but nothing comes close to the nail-biting suspense created by two loudly ticking timeclocks. One, the race to find the fiend who has taken his son. The other, to find the madman who is planning an armed invasion of Switzerland that will rip civilization to shreds. Could it be, Hawke begins to wonder, that the two villains are really one and the same? This book is an absolute mess. Sloppily written and full of typos, grammar mistakes, factual mistakes (e.g., mixing up character names), and barely coherent passages. It really looks like the publisher and Ted Bell rushed this out without proofreading it a single time. It reads like somebody’s rambling train of thought. And even if it had been better written from a stylistic standpoint, the storytelling is the worst of all of Bell’s books. It is hard to believe he even wrote it. For example, Putin’s Russian former right-hand man is now a wanna-be Hollywood actor that talks like a New Jersey wise guy? Putin himself talks like a Chicago policeman? This book feels like Bell gave his prior books, with their well-developed and rich characters, to a fourteen year old to turn out a new book. 3.0 out of 5 starsWhat did you do with my Ted Bell and his Alex Hawke? I have been a fan of Ted Bell's Alex Hawke series of books for years and looked forward to this new one. Unfortunately, this book falls way short of his previous efforts. 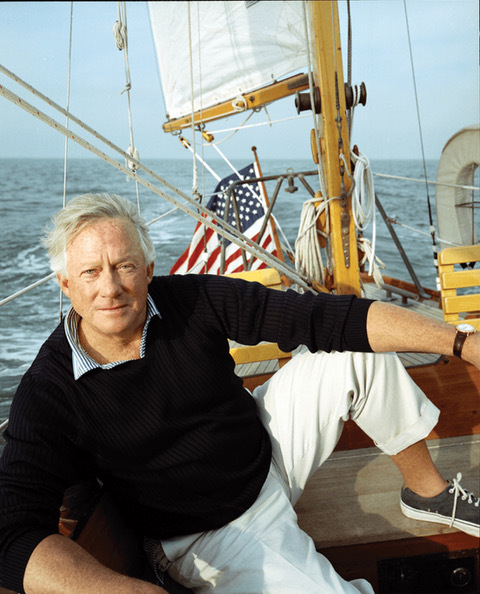 Yes, there is plenty of action, pretty women, and such - but, the two biggest problems I had while reading his novel were the issues of "continuity" and accuracy of research. Two obvious continuity examples: Page 154, Joe asks for a Schnapps, then a few minutes is sitting alone with his coffee on page 155, on page 177 he again mentions his Schnapps from the prior evening; on page 220 Brock is putting silencers (the correct term is sound suppressors) and then on page Hawke has to put his "silencer' on himself. As to research: page 187 - Hawke lands at the helipad at the casino on Antibes - there is no casino on Antibes; The author, although writing in the current time frame has his characters smoking cigarettes, pipes, and cigars in both London’s, as well as in Switzerland's restaurants and bars - England banned that in 2007, and Switzerland in 2010; the author keeps referring to the KGB as the opposition, however that organization ceased to exist in 1991 when the Soviet Union collapsed - it was replaced by the FSB and SVR; on pages 259-260, Hawke is in his hotel room and gets a call from the Director of the CIA who says, "We're encrypted, so speak freely" - for a phone call to be encrypted, it requires such devices at both ends of the call - not just one; probably the biggest such error is on the plan to drive the "Black Arrow" train from Siberia to Switzerland - the train would have been stopped dead as it tried to leave eastern Europe, since the train tracks in the rest of Europe are a different gauge than that used in Russia - 1,435mm versus 1,520mm. And these were just the obvious ones! I am sure if one took the time or had the knowledge others are there for the finding. These problems, were enough to get me to downgrade this book to three stars, and to be honest, if I were not a fan already, it probably would not have made it up to three stars. As to whether or not you should buy the book - that depends on the question - are you going to keep reading the series of books? - if so, yes you have to buy it, as the book ends with a cliff hanger, so you will need to have read this book to understand where the next book starts. However, if you are not planning on continuing the series, or you have not yet started - then you can certainly avoid buying this book. Really bummed to not like this book because I have loved the first 4-5 Alex Hawke books. The writing did not sound like Ted Bell voice. The characters were undeveloped and the salty language was "overkill". Using Putin as a foil just doesn't work. Using the characters to review every plot of his last books was cheesy, too. The first few books you really got to know Stokely Jones and Ambrose Congreve. Their voices were strong as were their characters. This book should never have been written. It sullies the whole Alex Hawke series. Another Alex Hawke winner by Ted Bell, lots of action and sometimes unbelievable rescues and near misses. If we unleash these guys on the bad guys across the world we wouldn't need armies. Another action packed adventure, fast paced a real page turner, this will Alex Hawkes biggest challenge yet facing a madman intent on ruling the world and will stop at nothing to achieve it. Without a doubt one of my favorite writers and the Hawke is one of the more refined and better action characters. Good stories, full of edge of the seat action. James Bond better look over his shoulder, Alex Hawke may be MI6's best operators. An implausible, poorly written and conceived novel. I've read many of the other Hawk series and this one is beneath criticism! The villains are either clowns or morons or both. I'm 80% through the novel and can't wait to put it down. Don't waste your money on this drivel. 5.0 out of 5 starsSmashingly brilliant as usual! Page turner, kept me on the edge of my seat waiting for more. Can't wait till HAWKE the movie premiers!